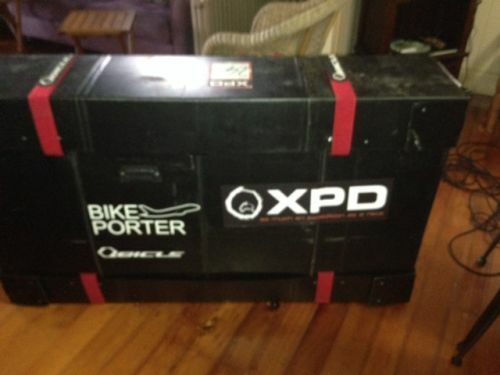 Do not need to take off the rear wheel set while assembling and travelling. 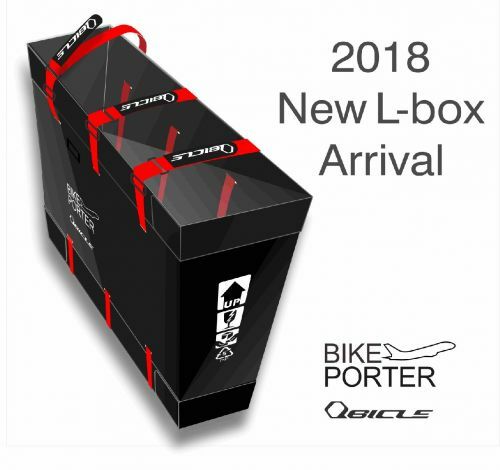 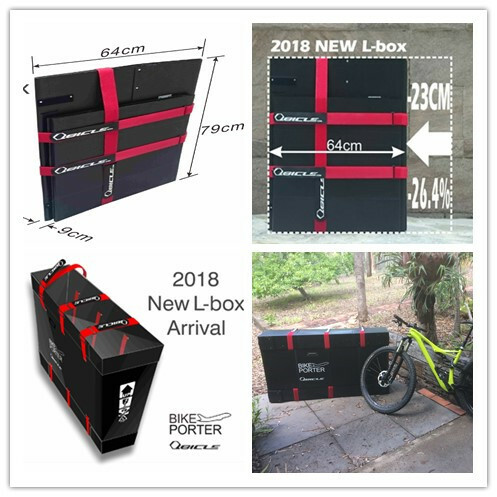 2018 L size is re-designed on the box structure and the folding method. 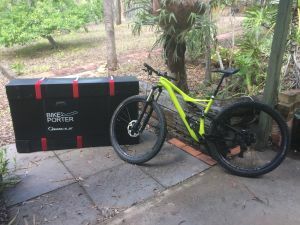 It is good for MTB, 29er, road bike, sports bike, fat bike, most of the bike types. 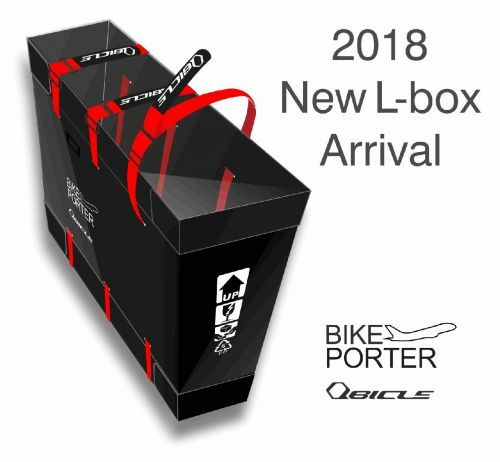 You browse it here so you won't miss out on the categories that you care about most when you wanna ride your own MTB or 29er in the tour. 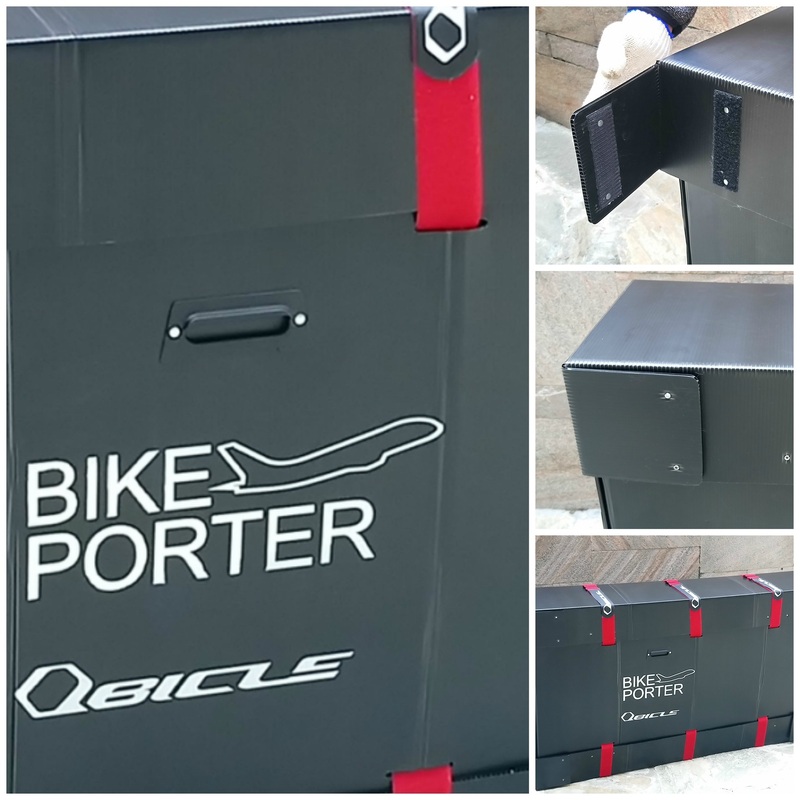 Each set of Bike Porter in size L contains one box with three fastener straps in red, and one set of TOGO the wheeling mobility set including 4 slide-in support plates, 4 durable mini-rollers, and 1 storage bag in black for four used and dirty rollers when you check in the Bike Porter in the ticketing counter on board. Folded size is from 2017 original version 87x80x7 cm to 2018 new size 64x79x9 cm. 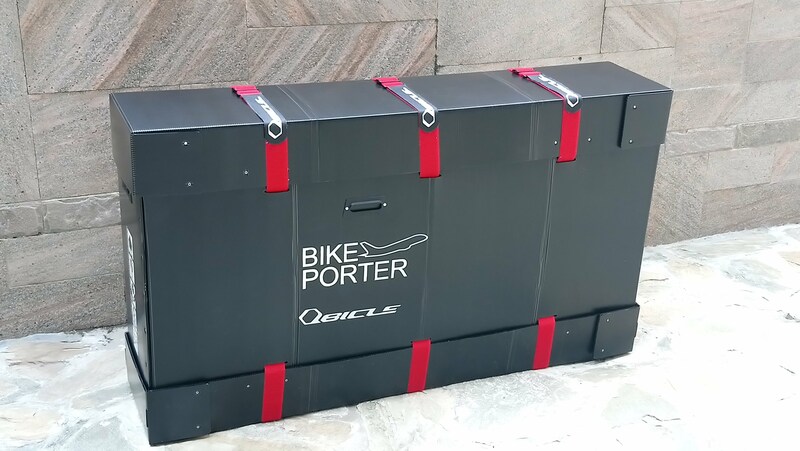 The weight is the same: 4 kgs only, super light-weight than most of kinds of bike travel cases. 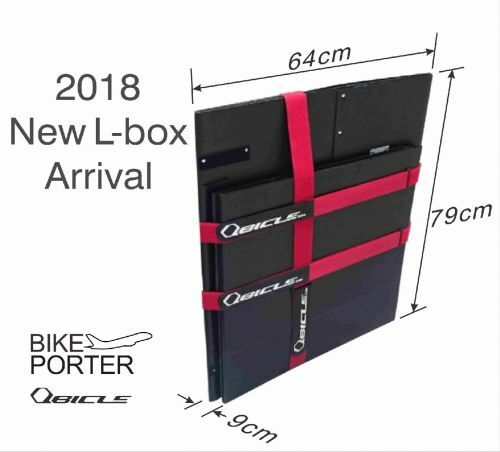 The unfolded size stays the same too (140x80x30 cm). 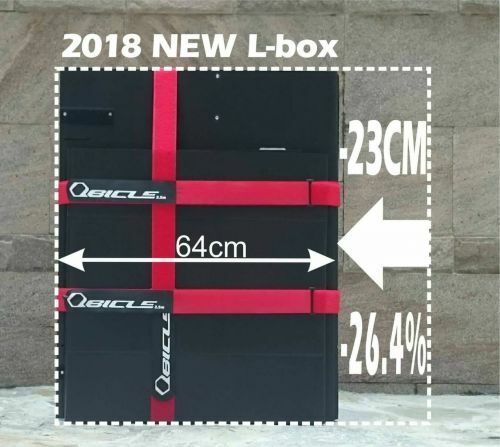 In order to provide more folded features of our product, we design a new way of folding method on 2018 L size box itself. 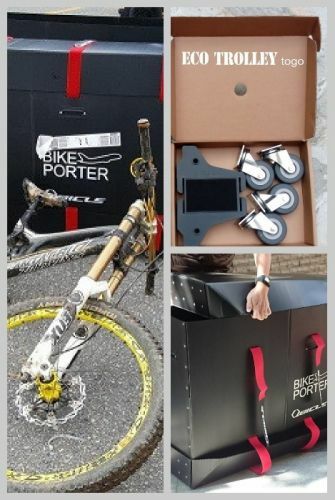 We also make a new mold for production. 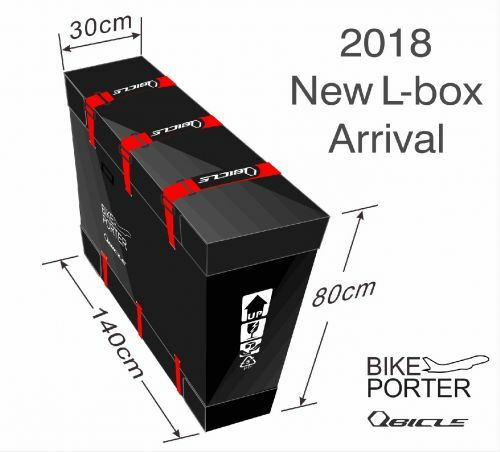 Much more compact when folded compared to 2017 L size.